The Progressive People’s Party (PPP) is over two years old. Since it was formed in February 2012, it has nurtured the aim of becoming a credible alternative party to the ruling National Democratic Congress (NDC) and the main opposition party, New Patriotic Party( NPP). 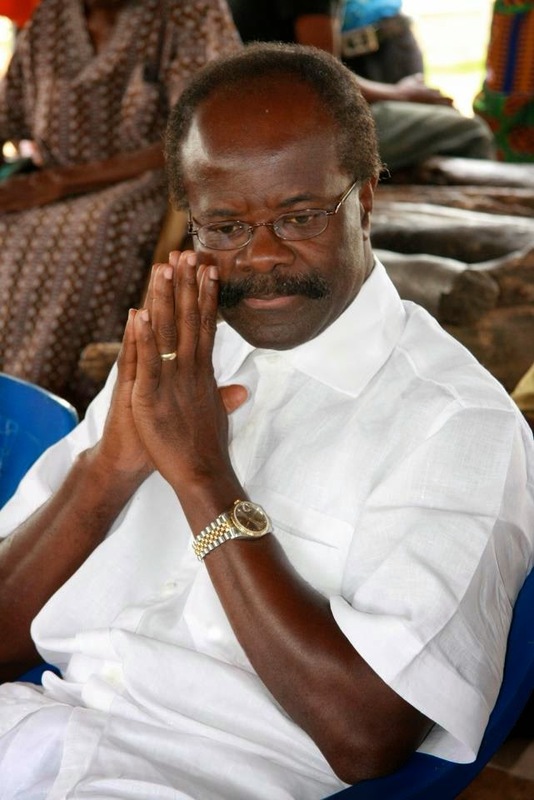 Dr Papa Kwesi Nduom, the 2012 Presidential Candidate of the PPP, who is currently in the USA for business duties, spoke to Daily Graphic’s Political Editor, Mr Kobby Asmah in a telephone interview on the socio-economic and political problems facing the country and whether the PPP had achieved its objectives as a political mass movement. Below are excerpts of the interview. Given the socio-economic difficulties facing the country, workers’ agitation and numerous mass protests, do you think your party, the PPP, has a realistic chance of winning the 2016 Election? I sincerely believe that neither the NDC nor the NPP can win a fair election in 2016 or beyond, given today’s environment. In my candid view, if a group of persons were to team up and work hard to represent a genuine, credible alternative, they would rather win a lot of votes. This is what the PPP is trying to do by showcasing political leadership by example to attain this credible alternative. Why are you so sure about the chances of this so-called credible alternative making an impact in the 2016 election and even beyond? The NDC and NPP have shared the governance of the country since the inception of the Fourth Republic and look at where we are as a country. This is the time for those who claim they are tired of the left or right to look for an alternative. “There is room at the top. There must be. This cannot be the “Better Ghana” we were promised. After JJ Rawlings promised Ghanaians from faraway New York City in the 1990s that “…this country is moving forward!”, to J.A. Kufuor’s “Golden Age of Business”, to JE Atta Mills’s “Better Ghana I” to J.D. Mahama’s “Better Ghana II”, is that all we can hope for? The NDC and NPP political parties always crow about “We have the men (and women)” then leave the people asking, “Is this the best we can do?” “The reality is that neither the NPP alone nor NDC alone can manage the affairs of this country successfully. It will take an entire village of people from varied backgrounds, some of whom are unwilling to be associated with the NDC or the NPP, to team up to make this country and its people prosperous. Don’t you think that Ghanaians are stuck with a choice of NDC or NPP? The question that had been put to me since the beginning of this year, apart from whether I would run again in 2016, is, “Is there an alternative out there?” They also ask if Ghanaians will have faith in another party and vote against both NDC and NPP. Indeed, many people in Ghana are also asking themselves if they are stuck with a choice of NDC or NPP. By extension, they are even asking if 2016 is just a J.D. Mahama or Nana Akufo-Addo battle. But I can assure you that many Ghanaians are fearful of having to choose between the two. The perception out there is that the two parties will protect each other and just continue business as usual. How can an alternative party dispel the notion peddled often by NDC and NPP activists that a vote for another party would be wasted? I will simply answer that one senior business person says he often votes against the party/candidate he does not want and has voted NDC or NPP since 1992. He admits who he has voted for is usually not the one he believes can do the job, but the one he feels can win. He agrees that he would not make such choices in his business or else he would go broke! So is it any wonder that the country is flirting with bankruptcy in the midst of huge natural resources? Who takes the initial step of getting an alternative party for the country? If people mean well, they can force an alternative of some sort by voting for another party apart from NDC and NPP. The burden should not rest on only one side or those looking to offer the alternative. Ghanaians have voted for NDC or NPP to come into power, and you still have empty hands/pockets but you are asking the one looking to offer the alternative to give out something before pledging a vote. This is the dilemma facing the country. I think Ghanaians and the electorate in particular must give the chance for this to happen. Was the PPP formed to fill this gap of becoming a credible alternative party? We formed the progressive movement to offer the opportunity for an alternative to be there to attract people who are tired of the NPP/NDC game. We had to turn it into a political party, the Progressive People’s Party (PPP) as the EC would not allow us to field common parliamentary and presidential candidates across the country as a movement. We recognise the need for inclusiveness to bring the best minds together to push Ghana to greater heights of development and individual prosperity. What does the PPP thrive on? Our PPP or movement thrives on young men and women including students. We want to catch them young and hopefully we want hardworking people from all walks of life who will volunteer and sacrifice to help build the society we all desire, a fair, just and prosperous one. We want to win elections with the right attitude for service to the nation. Will you back a common alternative candidate for president? I will be happy to back a common alternative candidate for president to offer hope that we can cure this nation of corruption, illiteracy, diseases such as cholera and malaria, and poverty. It would be great for independent-minded people, progressives and others to come together to forge a coalition that will offer serious competition to the NDC and the NPP.